• Why is it only for families? • Is the extended family model popular in Portugal? • Could the common space be used by shared by non-family neighbours (maybe as an external amenity space) and if so how does this affect the internal layouts? • Could the new communal space relate better to the living spaces of the apartments? This would mean moving the kitchen though. There is a very odd transition space between the new communal space and the left hand side living space. 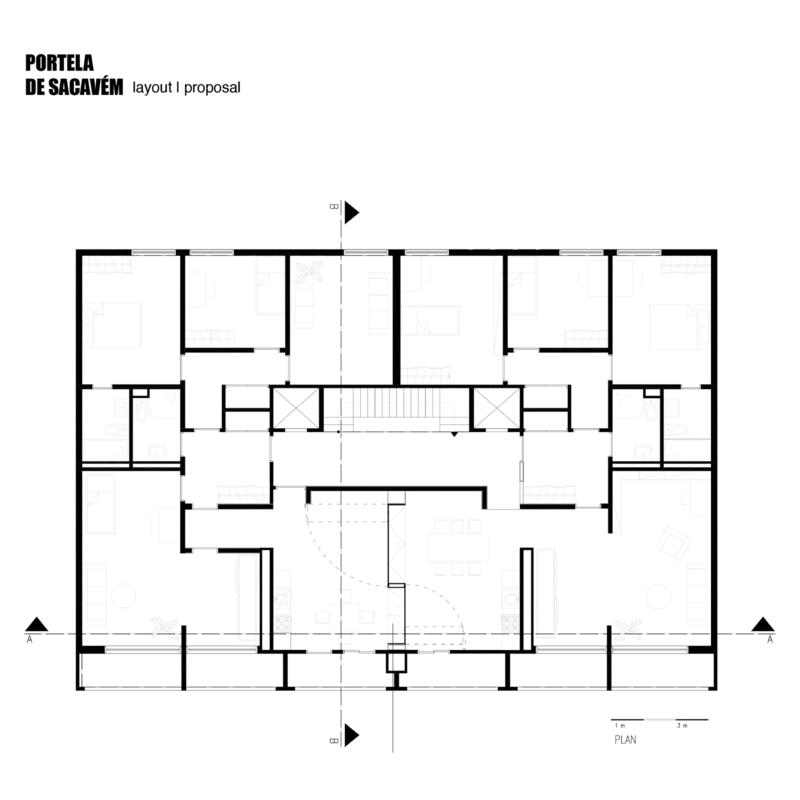 • Could the two rooms on the other side of the circulation space also be adaptable? This would allow for one apartment to diminish in size and for the other one to grow?